TeleMed’s Intraoffice product is a secure method of sending direct text-formatted messages to any member of your practice via our web-based program MyTeleMed. MyTeleMed comes complementary with the use of any other TeleMed product. With this product you will never have to worry about revealing any patient’s Personal Health Information (PHI) via non-HIPAA compliant methods such as texting, e-mail, or simple trash with PHI that gets thrown away. 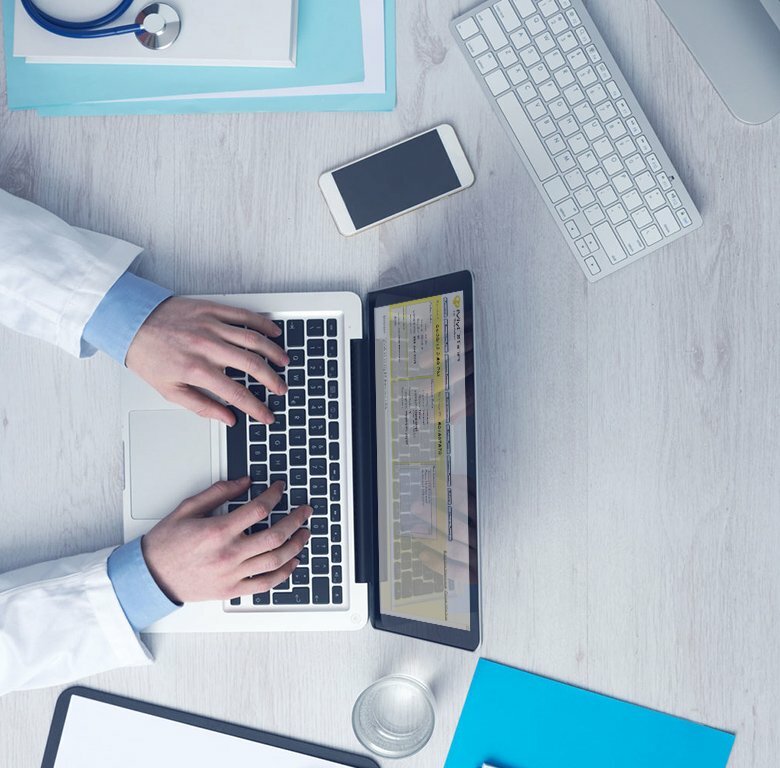 All of these aforementioned methods present the possibility of placing you, whether knowingly or not, at fault for the violation of HIPAA laws, which can be very costly. For whom is this product ideal? The Intraoffice product is really ideal for any practice that needs guaranteed instant transmission between the members of its staff. Even if your practice has a single location, you know that you are not always able to track down every member of your staff instantaneously (Joan went to get lunch, Robert is with a patient right now, etc.). This becomes even more of a challenge when your practice has multiple office locations. If you are a hospital administrator reading this, you might also be interested in coordinating your “intradepartmental” messaging by using this product. Why take the risk and allow important information to get lost in the shuffle of your staff’s hectic schedule when the Intraoffice product can instantaneously connect you with every member of your staff? Let TeleMed worry about your inter-personnel communications so that you can focus on your patients. How will I use the Intraoffice product? When you decide to use the Intraoffice product our set-up team will automatically embed the product into your MyTeleMed account homepage in the navigation bar’s OFFICE ADMINISTRATIVE TOOLS section under the title “Send Message”. From here, it is easy. You simply have to click on the link in the navigation bar and select a series of specifications that will ensure that the message is being delivered as you wish (who the recipient(s) is/are from your staff, what the callback number is, the content of the message in 500 characters or less, the number of messages you have sent regarding the matter, and the priority of the message- normal or stat). Once you have filled in the above information, you will be shown the specifications of the message in a message confirmation screen. When you are satisfied that everything is correct, you need only to send the message by simply clicking “Yes, send this message”. (If you realize that some information has been input incorrectly when you see the specifications of the message there will be icons that direct you back to the incorrectly entered information. Once the error is corrected you can proceed as before). After sending the message you will see a confirmation screen that says that your message has been sent. Now you know that your message has been safely delivered to the intended recipient(s). What will happen when I am the recipient of a message? If you are not the sender of a message, but instead the recipient, there are two ways to view the message. The first way is by checking the “My Messages” section of the MyTeleMed navigation bar on your computer. The message will be a “new” message (meaning you haven’t read it) from “Intra-office”. The second way is through our mobile smartphone application. We have recently developed a mobile application for users of Android and iPhone smartphones (Blackberry coming soon!) that will allow you access to MyTeleMed on your personal phone. When you receive a message the mobile app will alert you that you have a new message, and when you click upon the message in the “Active Messages” section of the mobile app., it will reveal the information in a standard text format that looks just like a text message. The application is free for both types of devices and can be downloaded by typing “MyTeleMed” into the search queues of both the Apple Store and Android Market respectively. Send instantaneous, HIPAA compliant messages. Staff messages sent to you are placed in your MyTeleMed account inbox. Messages are delivered as soon as they are sent. Operator supervisors follow every message until it is closed.